Chocolate Cherry Dream. | Eat More Plants. 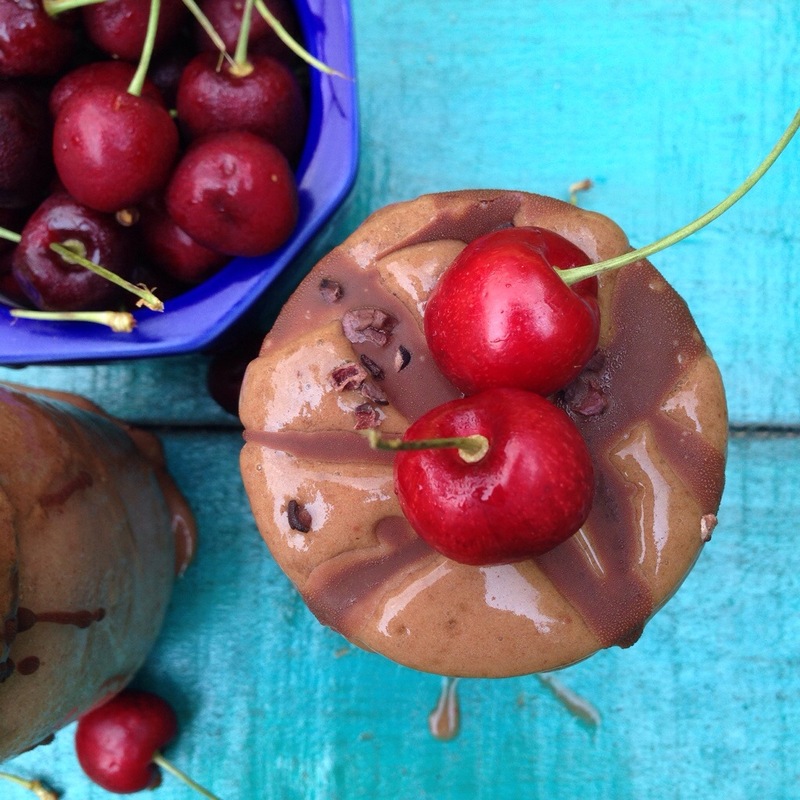 Creamy & dreamy; chocolate & cherry; hot day & a cold drink. Yes, please. I’m pretty certain that I never actually used that “magic shell” chocolate-y syrup stuff that hardens when you squeeze it over ice cream but I am familiar with the concept. From past experience, I know that pouring melted chocolate over a cold glass or drink/smoothie gives you that same effect. No need to buy something loaded with junk and preservatives when you can make it in minutes, right? I melted 3 tablespoons of unrefined coconut oil over the lowest heat possible, added 1 heaping teaspoon of raw cacao powder (you can use cocoa powder too!) and mixed it until it was smooth. Add a teaspoon of liquid sweetener (honey, maple syrup or agave) if you’re not using it on something sweet, but for this smoothie which was already sweetened by the dates, there was no need for me to add any sweetener. Drizzle it over whatever you want for an added bite of chocolate-y goodness. Hi Celine, This is the second time in as many days I’ve heard of using dates to sweeten my smoothies. Maybe it’s some kind of omen. I imagine that they also add some body and color to the glass. Is there any other things we should know about dates?